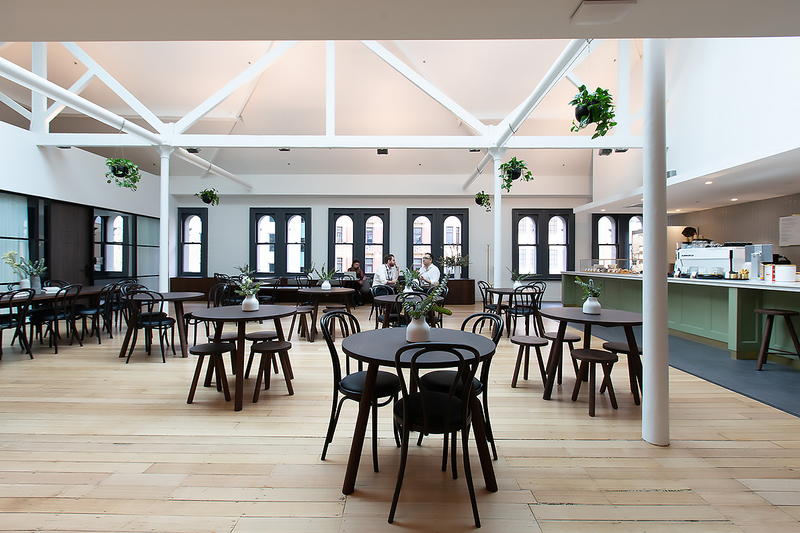 Hub Australia this week launched the second of its Melbourne coworking spaces within the historic Georges Building. Located at 162 Collins Street, the new space joins Hub Australia's Melbourne flagship, Hub Southern Cross which occupies part of the 1917 Mail Exchange opposite Southern Cross Station. Together these two spaces account for half of Hub Australia's national footprint of 20,000 sqm. The Georges Building was once home to the prestigious Georges Department Store from 1889 before ceasing trade in 1995, and continues Hub Australia’s focus of transforming iconic buildings into premium coworking spaces. Hub Australia intends the coworking space will create opportunities for growing businesses to base themselves on Collins Street, but without the cost associated with a Collins Street address. The Georges Building is primely located in the heart of the Paris end of Collins Street and we’re excited to see it transformed from its retail roots into a thriving business community, driving innovation and connection in the Collins Street precinct. The premium coworking offering we’ve created is unrivalled in the area and we’ve seen keen uptake from tech, services and creative businesses that recognise the benefits of being a Hub member, such as increased networks, staff retention and ultimately business growth. The Hub Collins Street space is rich in history and character, and throughout the refurbishment we retained and celebrated the unique fabric and art deco features of the building. This combined with state-of-the art amenity such as a 50 seat café, boardroom and strategy room with views over bustling Collins Street, a fully operational member kitchen, fitness, relaxation and media rooms, cultivates an exceptional coworking offering. Hub Collins Street has a variety of workspaces to cater for up to 600 members including bespoke offices, private offices and open plan dedicated and flexible desks. Targeting the growing corporate market or project teams, a bespoke office on level two overlooking Little Collins has 40 desks, including two internal offices. There are also additional offices ranging suitable for two to twenty-four people configurations. The Hub Collins Street provides a further nine bespoke suites to ‘Georges Lane’, the original retail arcade located on the mezzanine level which has been transformed into a laneway linking Collins Street and Little Collins Street. These fully secure and furnished suites are suitable for teams of 12 – 18 people supported by internal meeting rooms or offices, and come complete with their own dedicated reception area with signage that draws on the building’s retail history. The building's restored interior maintains the iconic atrium on level three that provides ambient natural light and celebrate the feature trusses and columns. Heritage features such as previously blocked off fireplaces, original scaffolding and lift level indicators have been restored as part of the refurbishment. Art deco retail counters and display cabinets discovered from during the building's retail past have also been restored and incorporated throughout the new fit out. Additional amenity in the coworking space includes serviced meeting spaces and a state-of-the-art boardroom, parents’ facilities, soundproof phone booths, gym, premium end-of-trip facilities with complimentary towel service, generously sized lockers and bike storage facilities. Hub Australia will be opening its third Melbourne-based coworking space - Hub Parliament Station - at the top of ICI House, in May 2019.